The 2012 World Series of Poker Europe (WSOPE) is now a week old, and I can’t recall a WSOPE that has had less buzz and fanfare surrounding it; a remarkable turn of events considering Antonio Esfandiari was able to capture one of the preliminary event titles, winning his third bracelet and taking over the WSOP Player of the Year race. Is the WSOPE a “Pros Only” series? It would appear so after looking at the year-over-year attendance numbers and the list of players competing in the events this time around. A quick glance at the entry-list’s ( a couple tournaments failing to reach 100 entrants)and final table participants from the World Series of Poker Europe tournaments that have been played shows a preponderance of professional “name” poker players. The real test will come on Saturday when the WSOPE Main Event gets underway, but so far it appears that last year’s massive attendance numbers after the move from London to France were an aberration. The big news coming out of the WSOP so far was Antonio Esfandiari’s win in Event #2, giving “The Magician” his second bracelet of 2012 (Antonio one some small, inconsequential tournament called the Big One for One Drop in Las Vegas this summer) and his third career WSOP bracelet. In the process Antonio also took over the WSOP Player of the year lead. Phil Hellmuth is giving it the old-college-try at the WSOPE, as his quest for bracelet #13 continues. Unfortunately for “The Poker Brat” he keeps coming close, making it through Day 1 and cashing, but hasn’t been able to reach a final table. Is this the last year that the WSOPE will be full bracelet events? 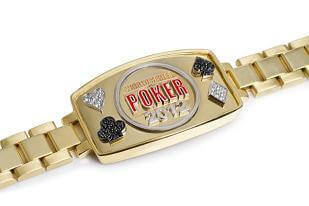 A WSOP bracelet has already been watered down over the years, and with the WSOP, WSOPE, WSOP APAC, and more we are pushing towards a point where 100 bracelets could be awarded every year. With attendance plummeting at the WSOPE, the World Series of Poker may have to take a long, hard, look in the mirror and decide whether the WSOPE tournaments (especially the preliminary events) are deserving of being full-fledged bracelet events. The problem with this is that most of the biggest names in poker only go to Cannes for the WSOPE BECAUSE the events award bracelets.